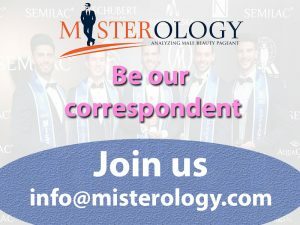 Mr Nigeria, Ogburie Pascal won fourth runner up title at Mister Model Worldwide 2018 competition. 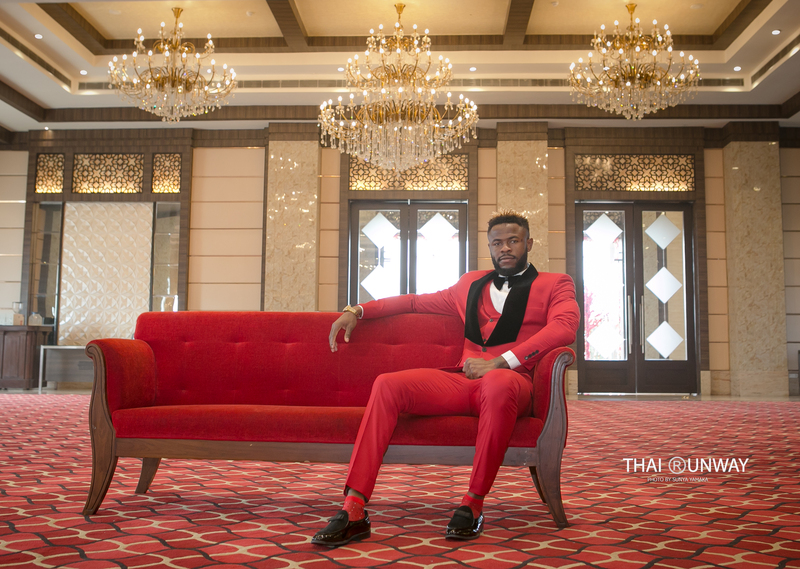 Nigeria’s Ogburie Pascal won fourth runner up title at the recently concluded Mister Model Worldwide 2018 competition. The inaugural edition of this event took place on December 22, 2018 at City Park Resort in New Delhi, India. 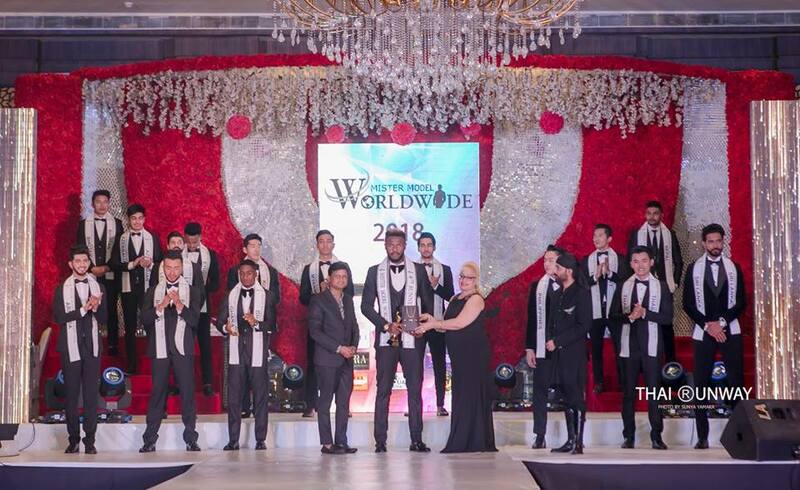 Apart from securing the fourth runner up position, he also won Best in Formal Wear special award at the said international modelling competition for men based in India. Mr Nigeria, Ogburie Pascal while receiving the fourth runner up award at Mister Model Worldwide 2018 competition. Picture by Thai Runway / Sunya Yamaka. 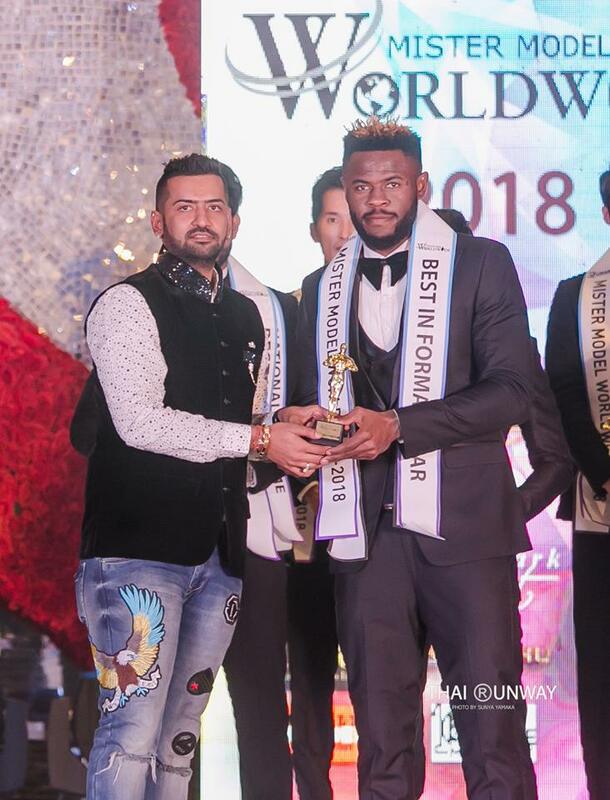 Mr Nigeria, Ogburie Pascal while receiving the Best in Formal Wear award at Mister Model Worldwide 2018 competition. Pascal hails from Port Harcourt in Nigeria. He is a model and footballer by profession. Standing a towering height of 6 feet and 4 inches, he is one of the tallest men ever to join this glitzy and fascinating world of pageants. At the competition in India, he impressed every one with his very humble, sophisticated and generous personality. He got attention for his extremely tall and perfectly sculpted physique and great looks. He simply rocked every outfit that he wore and looked effortlessly handsome throughout the competition. He also placed in the top 5 of physique round of the event. Ogburie Pascal during the preliminary segment of Mister Model Worldwide 2018 competition. 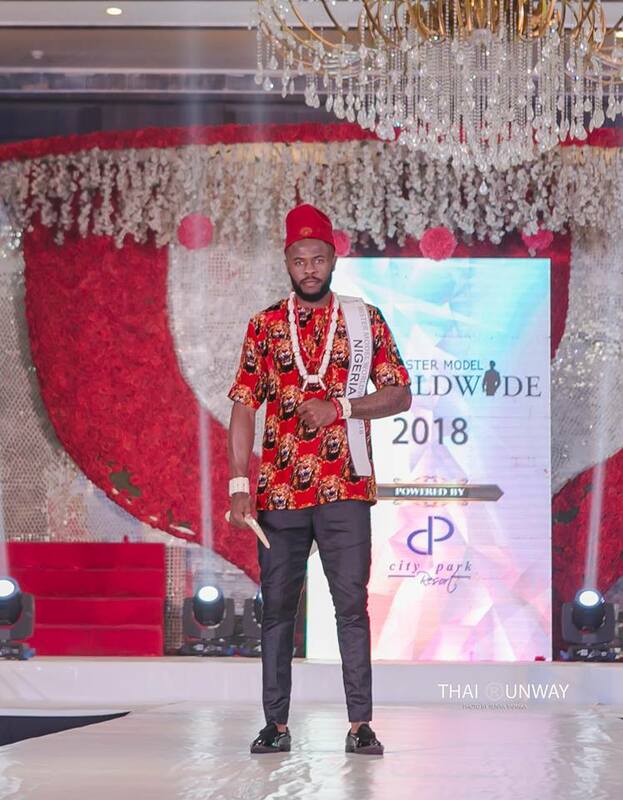 Ogburie Pascal while walking down the ramp during the national costume presentation show of Mister Model Worldwide 2018 competition. Ogburie Pascal during the physique and fitness round of Mister Model Worldwide 2018 competition. 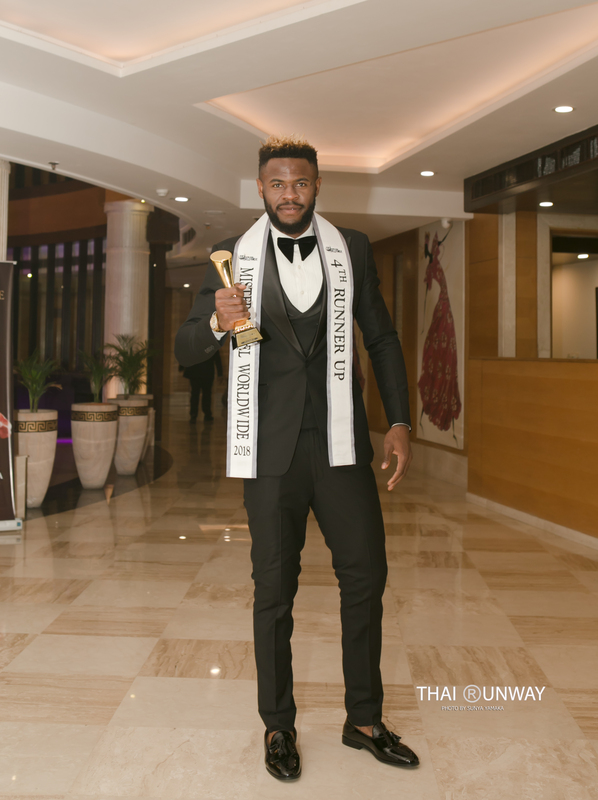 Ogburie Pascal after winning the fourth runner up title and Best in Formal wear award at Mister Model Worldwide 2018 competition.